Rev. A. R. Green (Augustus R.) The Life of the Rev. Dandridge F. Davis, of the African M. E. Church. With a Brief Account of His Conversion and Ministerial Labors, from August 1834, till March 1847. Also, a Brief Sketch of the Life of the Rev. David Conyou, of the A. M. E. C. and His Ministerial Labors. To Which Is Annexed the Funeral Discourse Delivered at the Ohio Conference, in Zanesville, on the Decease of the Rev. 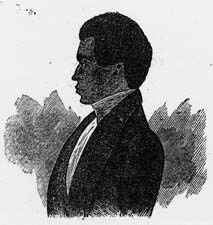 D. F. Davis, by the Author. The Life of the Rev. Dandridge F. Davis, of the African M. E. Church. With a Brief Account of His Conversion and Ministerial Labors, from August 1834, till March 1847. Also, a Brief Sketch of the Life of the Rev. David Conyou, of the A. M. E. C. and His Ministerial Labors. To Which Is Annexed the Funeral Discourse Delivered at the Ohio Conference, in Zanesville, on the Decease of the Rev. D. F. Davis, by the Author. Pittsburgh, PA: Ohio A. M. E. Conference, 1850. Davis, Dandridge Fayette, ca. 1807-1847. Drew University Library, Madison, NJ provided the text for the electronic publication of this title.